In California, possessing methamphetamine for the purposes of sale is charged under Health & Safety Code 11378. The government need not prove someone actually sold methamphetamine but only the defendant harbored the intentions of selling it. Proving the intent element can be accomplished circumstantially, usually with the use of a drug expert. Moreover, large sums of money, large amount of substance, scales, and pay-owe sheets are all sales indicia. Typically, someone is arrested for this charge after law enforcement conducts a search after authoring a search warrant. The warrant may be based upon statements conveyed by a confidential informant who either has personal knowledge of the sale(s) or agreed to make a “controlled buy” for the purposes of assisting law enforcement. Those arrested for methamphetamine sales may also be charged with felon in possession of a firearm, grand theft, receiving stolen property, and possession of drug paraphernalia. WHAT MUST THE GOVERNMENT PROVE? You had the intent of selling the substance. Intent: The government must prove possession with the intent to sell. The intent element may be attacked if the quantity of the substance is enough to argue personal use. For instance, the amount of substance can be consistent with a heavy user and not for the purposes of sale. Furthermore, the intent element could be questionable especially in cases where there’s a lack of indicia of sales. Knowledge: If someone does not know of the substances presence, then the law will not someone criminal culpable. For example, someone may have accidently left a large substance in your car without your knowledge. In that instance, you were not aware of the substances presence to sustain a finding of guilt. Illegal Search: As noted above, most sales charges stem from officers discovering the substance after a search warrant. 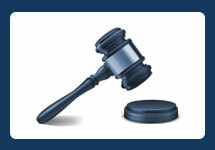 The content of the warrant and the formalities for its issuance must be carefully reviewed. If technicalities of the warrant are discovered, the search may be deemed unconstitutional and consequently lead to the suppression of all contraband discovered. Possession: The law recognizes two forms of possession: actual and constructive possession. Actual possession means the substance was located on your person whereas constructive possession is when someone has a right to exercise control over the substance. Lack of possession is typically a viable defense when there are multiple suspects that could be linked to the substance. Additionally, merely being present in a place where the substance is located, without more, is not sufficient to constitute possession. HS 11378 is a straight felony that cannot be reduced to a misdemeanor. Consequently, a conviction carries a sentencing range of 16 months, 2, or 3 years in the county jail. Additionally, sentencing enhancements may apply adding an additional three years if someone suffers from a prior sales conviction within the last five years. 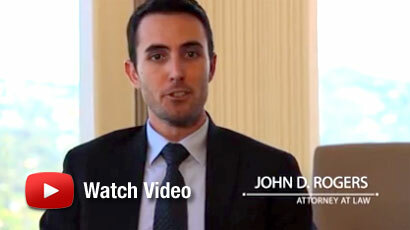 If you’ve been arrested, charged, or are under investigation for selling methamphetamine under HS 11378, then contact an experienced Orange County Criminal Defense Attorney at the Law Office of John D. Rogers for a free confidential consultation concerning your rights and defenses. Our office handles all drug related offenses throughout southern California including Los Angeles, Orange County, Ventura, San Bernardino, and Riverside counties.